Make way for the new iPhone 7, which is due release in the coming month. iPhone lovers are eagerly waiting for the release and get hands-on-experience on the gadget. However, before one dreams about the new device, it is equally important to dispose of their existing handset. The question that arises here is about what to do with the old iPhone. Selling your old iPhone is probably the best way to make way for the new device. However, it is important that you obtain the best trade-in deal for your device. OfAA course, the value of the mobile phone changes according to the model that you are currently using and its condition. For instance, Gazelle, the leading trade-in dealer in the nation offers $385 for a flawless iPhone 6s 128GB version. The price reduces along with the model and the storage space. It is, therefore, important to look for the best deal over the internet to seal a deal at the best price. Today, Apple designed a robot that is capable of disassembling old devices at a faster pace and recovers all the useful parts with ease. The approach is an unusual attitude for a company that prides itself as an environmental conscious. Apple store gives the opportunity for any individual to bring their old electronic equipment, which it will recycle for free. For a few models of iPhone, Apple gives out a gift certificate, which the user could use while purchasing a new iPhone. The gift certificate and the money provided by the company vary from device to device and its condition. Therefore, it is imperative to communicate with Apple through its recycling policy page before you plan to give away the old device for recycle. Of course, you could sell your old iPhone online or visit the Apple store for recycling it, but there is also the option of presenting it to your near and dear ones. Not everybody needs a high-fi gadget, and there are people out there who just need a phone to communicate with their loved ones at any time. If such is the case, then you always have the chance to donate your old device to your near and dear ones. You can enquire about the requirement and look for those who are in need of a mobile phone. You can always present it to them, and the joy of gifting holds a special in heart forever. Clean junk files and temporary files from iOS system. 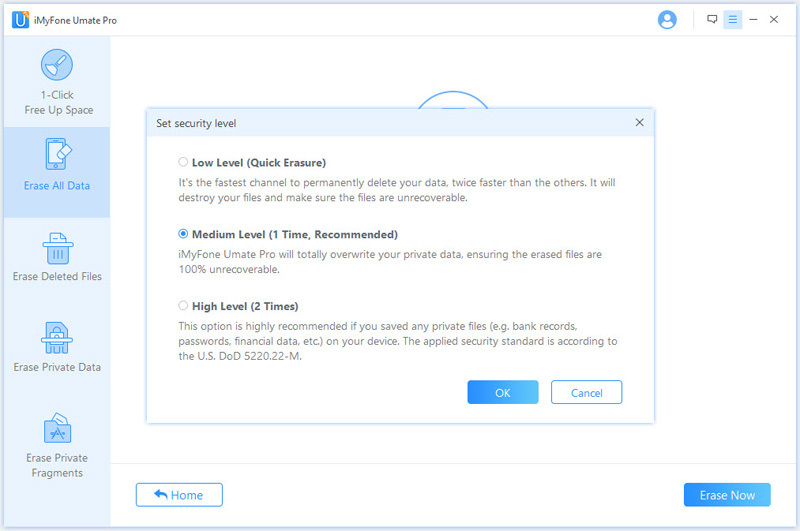 Step 1: Visit iMyFone Umate Pro website to download the trial version of the software. Install the program and launch the same. 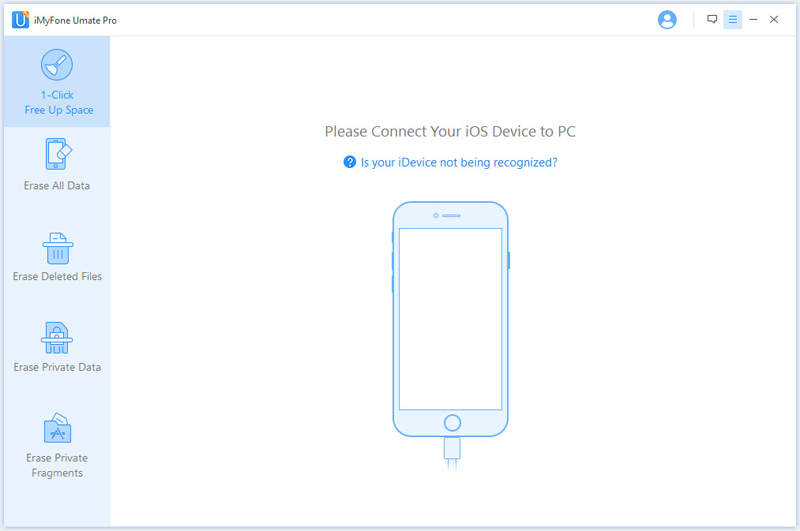 As you are connecting the device for the first time, you need to accept “Trust this computer” option on iPhone. 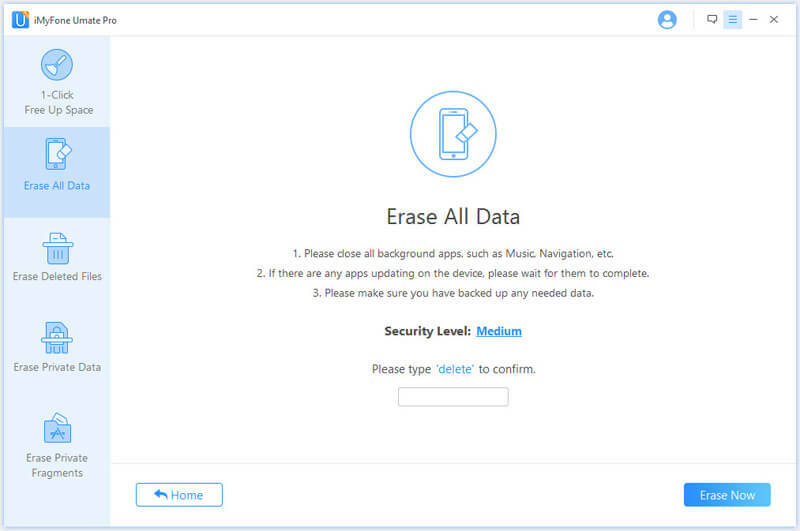 Step 2: From the left side of the window, choose “Erase All Data” option. Click “Erase” button in the right side of the screen. Step 3: Enter “Delete” in the box provided to confirm your action. 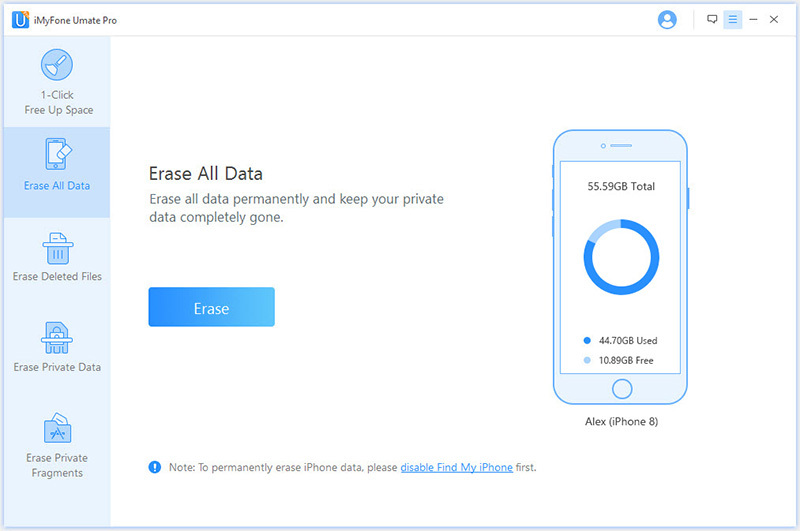 Press “Erase Now” button to delete content from the device permanently. Step 4: There are three levels of erasing the data – low, medium, and high. The recommended is medium level. 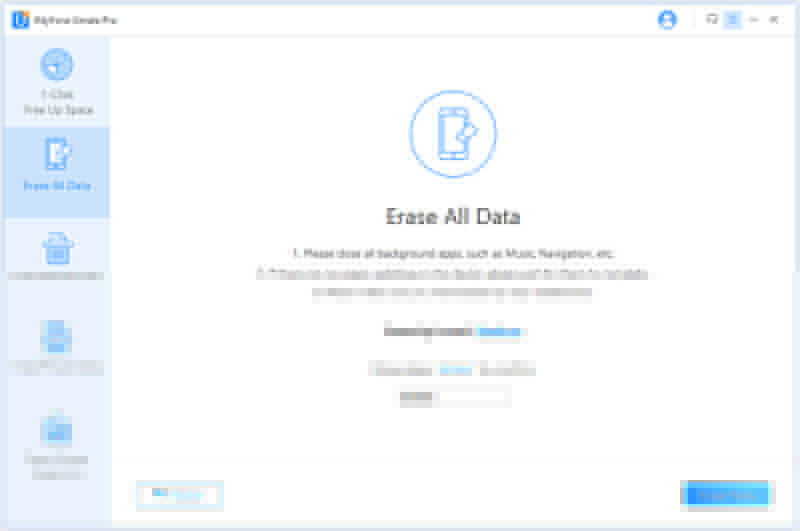 Step 5: Once again, you have to enter the word delete manually in the box provided and hit the “Erase Now” button to confirm deletion of data permanently. Step 6: Wait for the program to complete the action. The time needed to complete the action is dependent on the size of the data and the selected level of deletion. Furthermore, it is important to ensure stable connection between the computer and iPhone. 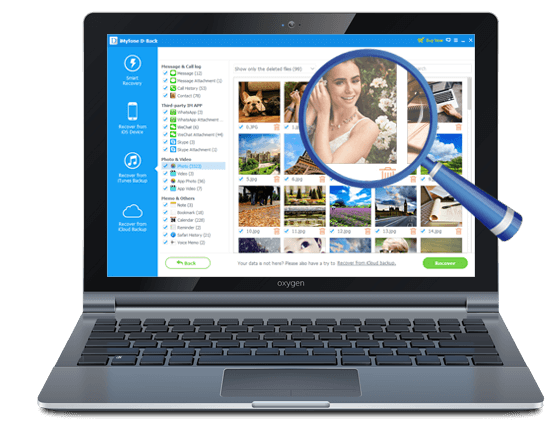 Download iMyFone Umate Pro iPhone data eraser or iPhone data eraser for Mac to have a try.